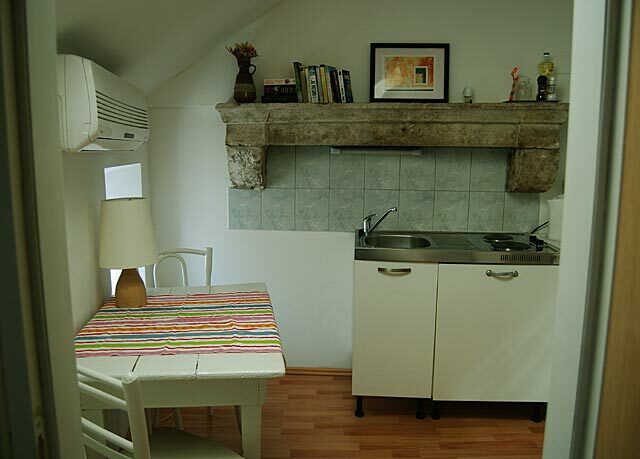 This studio apartment is located on the top (third) floor of the house, in the loft. The apartment is fully air-conditioned. It has two single beds, for which we don't mind if they are pushed together ... 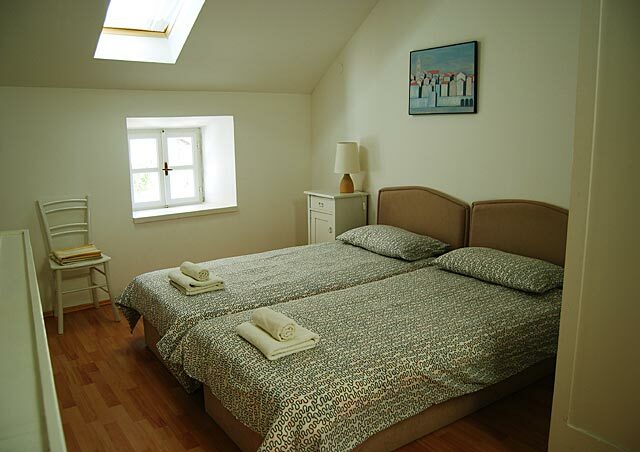 Apartment has it's own en suite shower room and wc, as well as kitchen corner with fridge and basic cooking facilities. Floor at the apartment is light wooden/laminated. 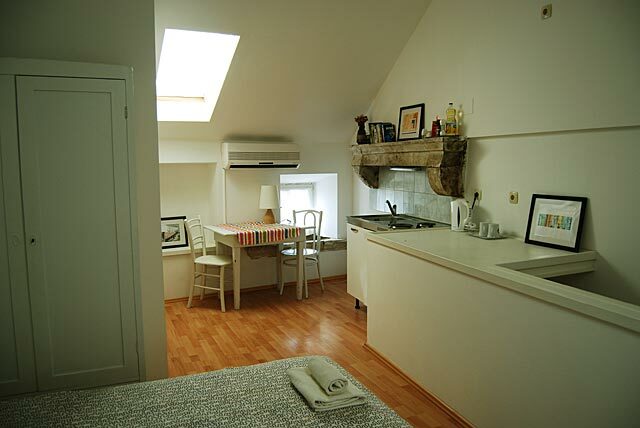 Apartment is decorated in white, with peach and cream bed linens. 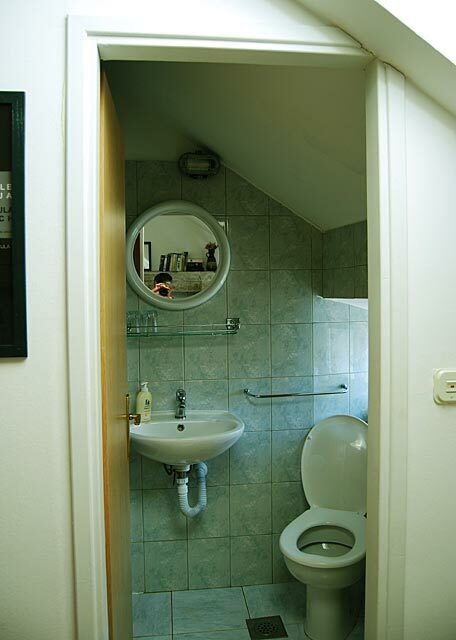 Bathroom is decorated in white with large light gray ceramic tiles. 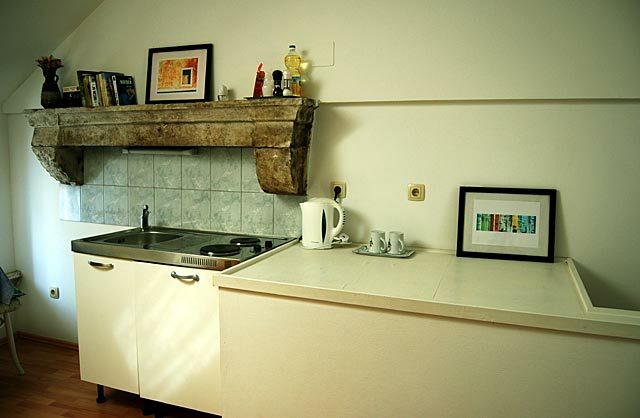 There are a lot of charming stone period features in the apartment (parts of old fire place, old stone sink etc...) that are intentionally left after complete refurbishment of the house in 2005. The floor size of each floor in the house is 24m2 (6mx4m). Free WIFI. This apartment has it's own wooden staircase that is part of the apartment too. 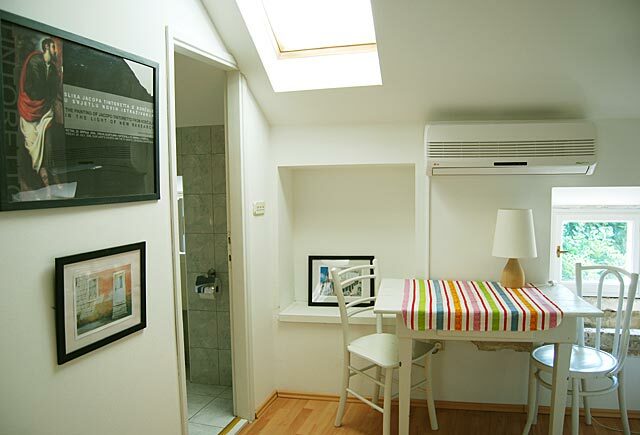 Above photos shows the interior of this apartment.